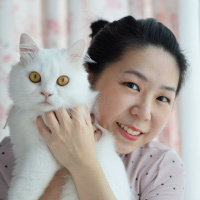 Wish your friends a merry Christmas with a special gift this holiday. 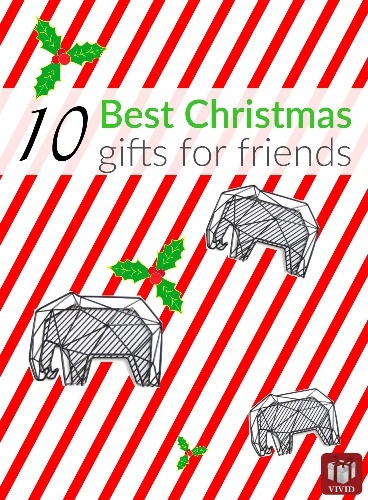 Here is a collection of 10 Christmas gifts for friends that are fun, cool and exciting. From jewelries, skincare to food. Most of them are under $15. Perfect to celebrate Christmas with friends. Let’s start with this pretty necklace that is great to cherish the special bond between friends. 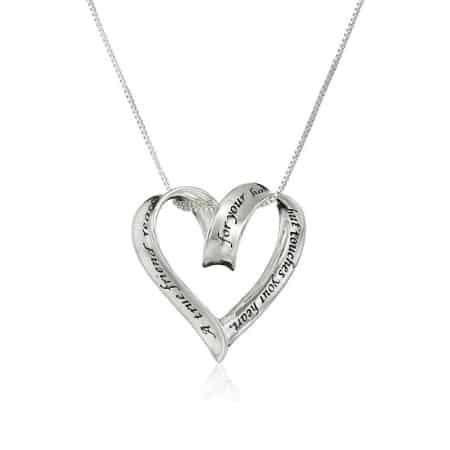 Ribbon heart design engraved with sentimental friendship quote. Reads “A true friend reaches for your hand but touches your heart“. Simple and dainty. Makes one of the best Christmas gifts for friends. Lip balm is another good idea. She will love this organic lip balms made from all-natural ingredients. By eos. 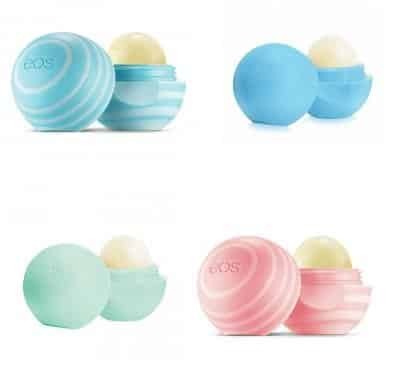 Set of 4 great flavors in fun and colorful packaging. Keep her lips soft and moisturized this winter. 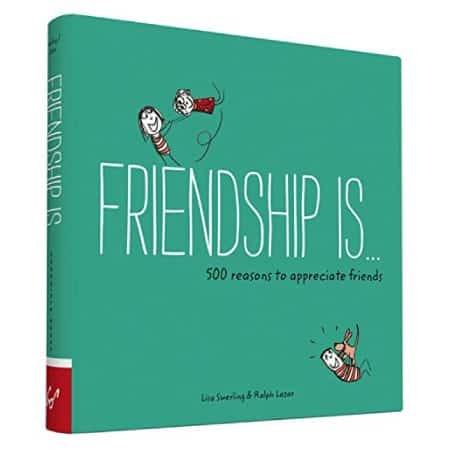 Cherish the friendship, show your love to friends this Christmas with this charming little book. This book illustrates the very best things about friendship. Filled with funny and thoughtful illustrations that show hundreds of reasons to appreciate our friends. A nice book that your friends will definitely enjoy. An adorable elephant coming to wish your friend a merry Christmas. It is a multi-function organizer to keep mails, bills and more. 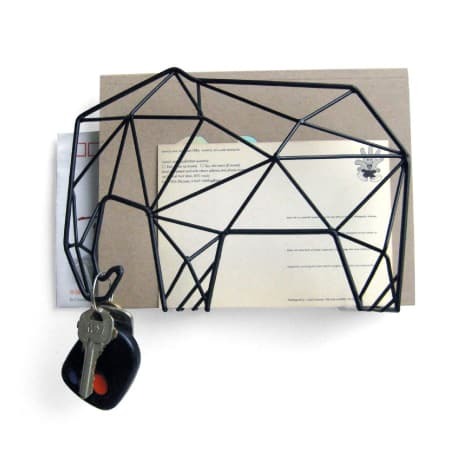 Can be placed on desk or hung onto the wall to keep your stuff organized. Holds notepads, folders, keys, magazines and more. Funky, sturdy and functional. Organize your stuff with style. 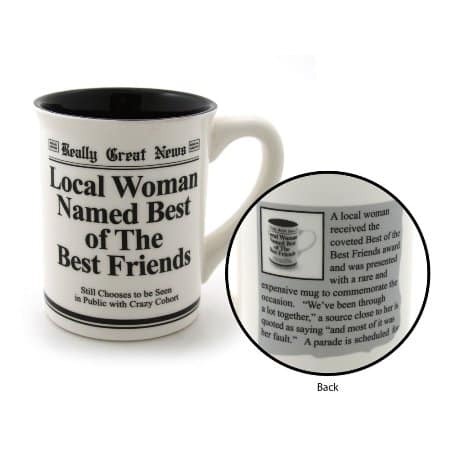 This eye-catching mug makes an awesome Christmas gift for best friend. Witty and humorous. Gonna make your bestie smile! Comes with a matching newspaper print box. You can also get nail polish. 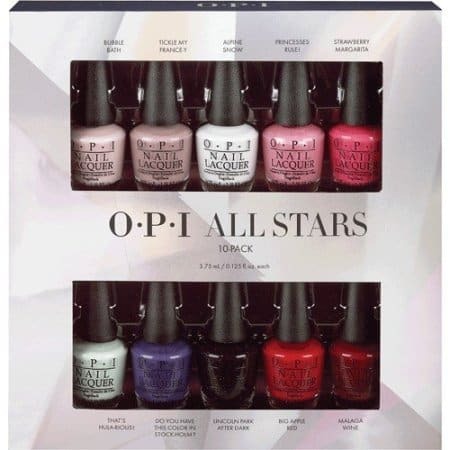 This set of 10 nail colors by O.P.I makes a decent choice. 10 lovely colors to create various looks. A great set to keep her happy all year long. A wonderful bag that brings magic and sparkles to your Christmas. 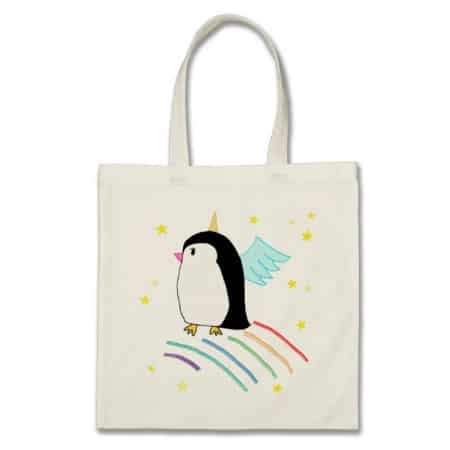 Featuring a cute unicorn penguin stepping on rainbow, flying into the sky. Made from durable canvas. It is stylish and fun for shopping, running errands, going to classes and more. Another great Christmas gift for friends under $15. Yummy treat for friends. 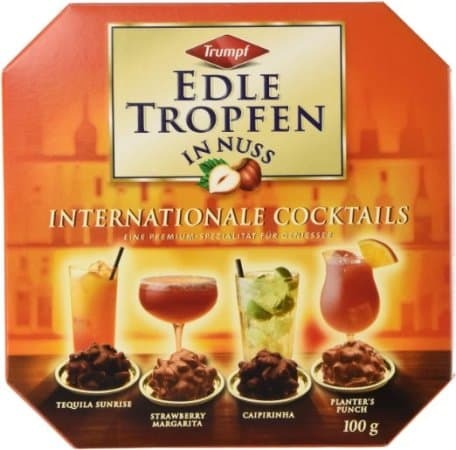 A box of finely crafted chocolate filled with quality liquor, nuts and fruits. 20 fantastic assortment, made in Germany. Rich chocolate, smooth liquor, nice texture. A really delicious candies perfect for the holiday season. Gorgeous wallet for her. 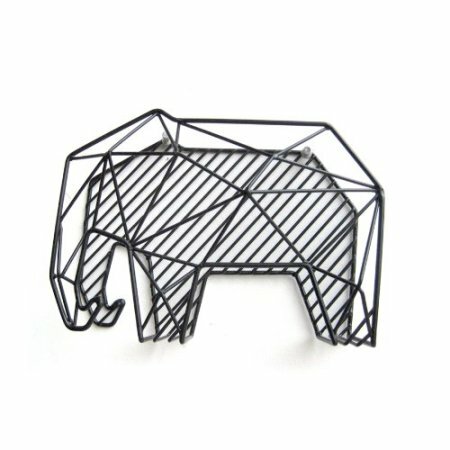 With unique design that looks vibrant, artistic and beautiful. Good size, great quality. 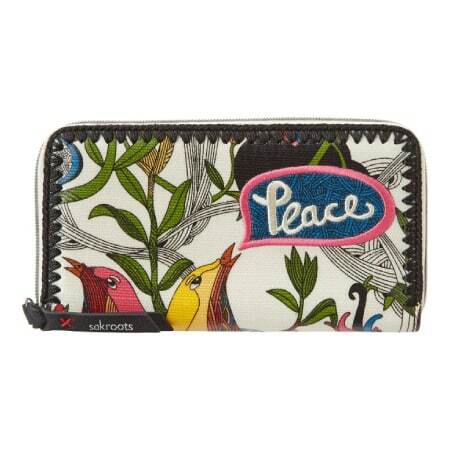 Features a zippered coin pocket and 12 slots for ID and credit cards. Small Christmas gift for friends. A visor clip with guardian angel design. Made of metal, crafted with fine details. 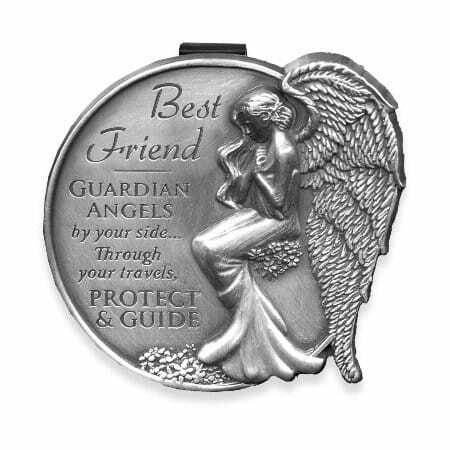 It is engraved with “best friend – guardian angels by your side; through your travels, protect and guide“. That’s the collection of 10 Christmas Gifts for Friends. Thanks for reading. Have a happy holidays!